Awaken your senses and brighten your home! Our newest Fragrant Foaming collection makes every hand wash a treat while its lush foam gently cleans and soothes the skin. 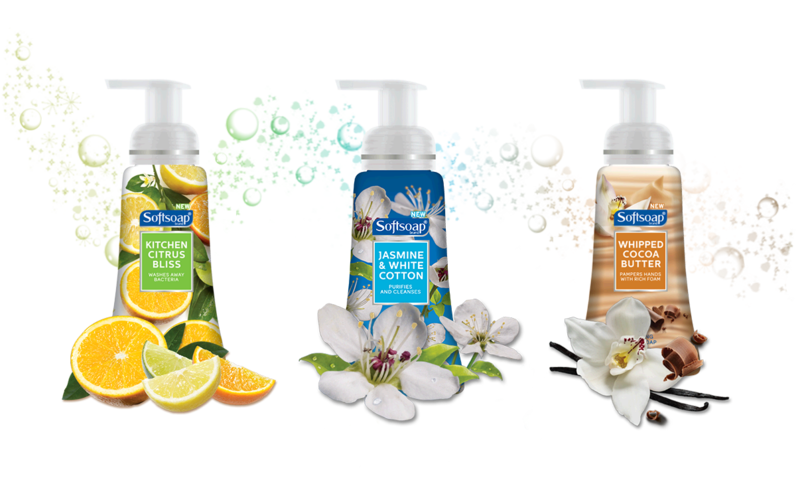 Softsoap is pleased to release a new collection in of Fragrant Foaming Hand Soaps. This affordable line of Fragrant Foaming Hand Soaps is a welcome addition in our home. All 3 have a rich pleasing smell that leaves your hands clean, smooth and lightly scented. They also come in beautiful designed bottles that will offer a lovely accent to your kitchen and bathroom. Check your local retailer or click here to find them in a store near you. Awaken your senses and brighten your home with the crisp, sun-drenched scent of Citrus. Enchant your senses and brighten your home with the fresh breezy scent of Jasmine & White Cotton.